A mystery buyer at 520 Park Avenue just paid $31.5 million for a pretty brilliant view of Central Park. The sale, which hit property records Friday, listed the buyer as AKMJ Property Trust. The deed was signed by trustee Christine C. McCurdy. 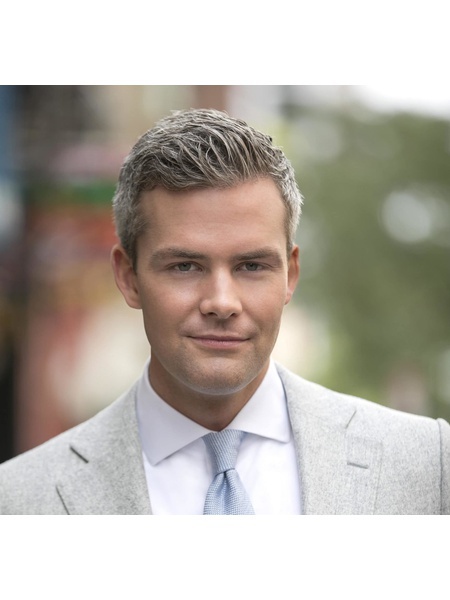 The buyer’s broker, Ryan Serhant of Nest Seekers International, declined to comment. The pad — Unit 36 — spans 4,628 square feet, according to the condo’s offering plan. (At $31.5 million, that works out to $6,803 per foot.) The full-floor apartment also has four bedrooms and a 29-foot living room with views of Central Park. The Robert A.M. Stern-designed building was developed by Zeckendorf Development. It has 31 units total, including a $130 million penthouse. Closings began last month. So far, they include Jennifer and Jay Kurani, founder of Tekno Products, and Ronn Torossian, founder of 5WPR. Others in contract reportedly include billionaire Frank Fertitta, former owner of Ultimate Fighting Championships; former Barclays CEO Bob Diamond; and Dyson company founder James Dyson.